Discussed in this essay: Kafka’s Last Trial: The Case of a Literary Legacy by Benjamin Balint. W. W. Norton & Company, 2018. 288 pages. The impetus for the Israeli courts’ consideration of Brod’s estate was Eva Hoffe’s request for the probate of her mother’s will immediately following her death in September 2007. This is, under Israeli law, a routine step in the execution of a will. But the proceedings were interrupted by Meir Heller, lawyer for the National Library of Israel. Two days before the hearing about probating Esther’s will, he happened to encounter the will of Max Brod, which makes clear that Brod intended for the papers to go to Esther only for the duration of her life, after which time they should be sent to a public archive. “I busted into the court,” he later told the Sunday Times, “and said, ‘Stop! There is another will—the will of Max Brod!’” Thus the nine-year dispute over the fate of Brod’s literary estate began. Early in the book, Balint articulates the question that ended up before the Israeli Supreme Court like this: “Does the estate of the German-speaking Prague writer Max Brod (1884-1968) belong to Eva Hoffe or to the National Library of Israel, or would it be best housed at the German Literature Archive in Marbach, Germany?” But the significance of the case goes deeper than the question of what party is legally entitled to this particular collection of papers, which drew interest principally because of the Kafka archive they contain. At issue, ultimately, are the questions of Kafka’s Germanness, of his Jewishness, of Germany’s post-Holocaust relationship to German-speaking Jewish writers, and of Israel’s relationship to writers of the Jewish diaspora. Kafka’s Last Trial explores these and other questions as it meanders between contemporary Israel, early 20th century Czechoslovakia and Germany, and early to mid-20th century Palestine and Israel, where Brod fled with his wife in 1939 and lived until his death in 1968. Balint brings voluminous knowledge to bear on the trials and modulates gracefully between reportage, biography, and literary criticism. He successfully balances the tasks of bringing to life the narrative’s dramatis personae—principally Kafka and Brod in the past, and Eva Hoffe in the present—with teasing out the literary, political, and philosophical stakes of the conflict. By what law? An unspoken but influential one. Balint names it: “Throughout the trial,” he writes, “Israel acted as though it can lay claim to any pre-state Jewish cultural artifact, as though everything Jewish finds its culmination in the Jewish state, as though Jewish culture has been driven by a teleological thrust toward Jerusalem.” Indeed, after the 2012 Family Court decision initially relieved Eva Hoffe of the manuscripts, Aviad Stollman, manager of the National Library’s Kafka file, declared, “In view of the role of the library to collect, preserve and make accessible the cultural treasures of the State of Israel and the Jewish people, we see this as a great success.” As Stollman’s statement and Balint’s interpretation of the sum of the proceedings make clear, this is not about Kafka’s own relationship to the future state of Israel, which was complex but ultimately ambivalent (“I admire Zionism and am nauseated by it,” he wrote in a letter). It’s not even about Kafka as Kafka, the source of an irreducible, idiosyncratic literature with specific impulses and obsessions. It is about Kafka as a Jewish cultural artifact. Israel’s interest in the Kafka papers highlights its paradoxical relationship to diasporic Jewish artists more generally. On the one hand, the Israeli government and Israeli cultural institutions claim ownership of their work as representatives of the Jewish people; on the other, the narrative of Zionism rejects artists of the diaspora as inherently incomplete, lacking the spiritual fulfillment available only to those in the Jewish state. 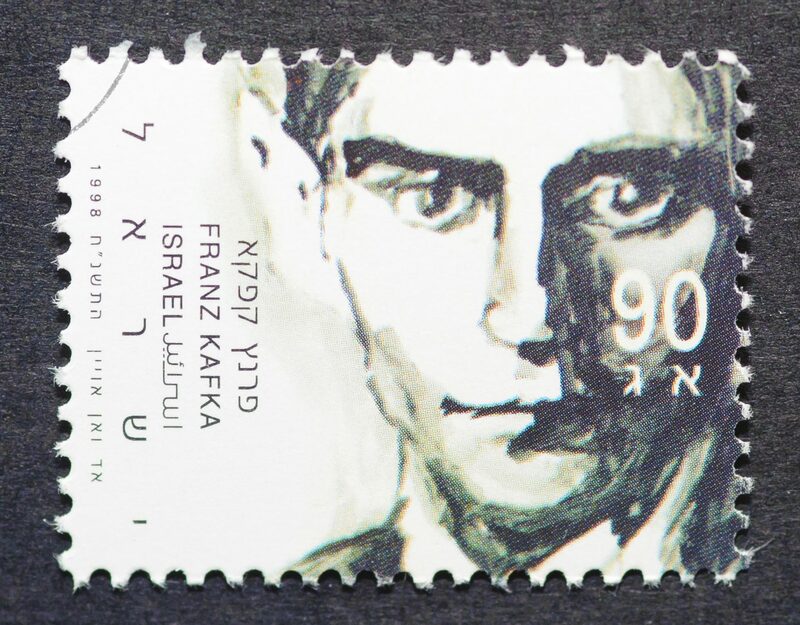 Kafka exemplified to Israelis the political impotence and passivity—the pessimism that flows from a sense of one’s powerlessness—that Zionists so vehemently rejected. […] Kafka’s motifs—humiliation and powerlessness, anomie and alienation, debilitating guilt and self-condemnation—were the very preoccupations Israel’s founding generations sought to overcome. […] [P]ioneers straining to cultivate a sense of at-homeness saw in Kafka the quintessential rootless, timorous Jew—haunted and homeless. It’s strange, then, to think about the Jewish state claiming ownership of a writer on the basis of his Jewishness when his work productively engaged with that Jewishness in a way that is utterly irreconcilable with the self-assured, militantly nationalist Jewishness the state embodies and advances. Consider, too, the irony of Israel, a state that has kept a population of millions under indefinite occupation for decades, laying claim to the author of The Trial, “In the Penal Colony,” and other works concerned with the horrors of inscrutably applied or eternally deferred justice. If Kafka is a political writer, he is certainly not a nationalistic one, whatever the complexities of his personal relationship to the Zionism of his day. The philosophers Gilles Deleuze and Félix Guattari, in their fascinating if outlandish political reading of Kafka in their book Kafka: Toward a Minor Literature, find Kafka’s work’s revolutionary politics precisely in its diasporic Jewishness. Deleuze and Guattari understand Kafka as part of a “minor literature,” which “a minority constructs within a major language”—in Kafka’s case, as a Czech Jew writing in German. Deleuze and Guattari identify Kafka’s outsider’s German as “a deterritorialized language,” and they find in minor literature “the revolutionary conditions for every literature within the heart of what is called great (or established) literature.” Under this reading, every sentence in Kafka’s writing strains against its appropriation by an ethnostate. It is on the basis of the language in which Kafka wrote that the German Literature Archive in Marbach staked its claim to his work. Marbach—home to collections of work by Hannah Arendt, Martin Heidegger, Joseph Roth, Stefan Zweig, and Hans-Georg Gadamer, among many others—entered the case only after the Israeli National Library was involved. Marbach never claimed a right to the manuscripts themselves; it claimed only the right to the opportunity to bid on them from Eva Hoffe. (The German archive already owns the manuscript of The Trial, which it purchased in 1988 after it was put up for auction by Esther Hoffe.) Still, the archive argued for this position by making the case that the language Kafka wrote in defines him over and above his Jewishness, and that based on this and on the extensive influence of major German writers on his work, he belongs, ultimately, to the German canon. Kafka’s work is certainly inseparable from the German language and cultural milieu, but Marbach’s rhetorical efforts to fix him there cut him off from his Czech-ness and his Jewishness, both of which were essential to the way he made German his own. Balint points out that it was only recently that German scholars of Kafka began taking his Jewishness seriously, and he suggests that Marbach’s interest in the Kafka papers arises in part from a national desire for redemption: making a national treasure of a German-speaking Jew whose prose preceded the corruption of the language by the Nazi regime could be a way of attempting “to erase the moral stains of the past, to regain a forfeited standing.” The Israeli resistance to this effort is understandable, especially given the fact that many of Kafka’s family members were murdered in the Holocaust, as would have been Brod had he not fled to Palestine. Marbach’s strongest claim to the Kafka manuscripts rests on its superior scholarly apparatus for working on them. Reiner Stach, the German scholar whose three-volume biography of Kafka was delayed by his inability to access documents with which the trial was concerned, wrote in a Berlin newspaper in 2010 that “Marbach would certainly be the proper place for the Brod estate, because it has the scholars and the expertise to deal with Kafka.” In general, it seems that Marbach and those supporting its case showed greater regard for the Kafka papers as literature. Ulrich Raulff, the director of the Marbach archive, at one point even proposed that the National Library of Israel and Marbach co-own the papers, but he was rebuffed. A national literary archive, whether in Marbach or Jerusalem or anywhere else, is neither a neutral repository nor an arbitrary accumulation; it is a shrine to national memory and to the continuity of that memory. Like a church consecrated by its relics, or a temple by its Holy Ark, the archive as reliquary participates in the effort of a nation to distinguish itself from other nations. […] If the archive is where the writer is translated into a saint, it is also where the private coalesces into the public, where inanimate literary remains are invested with a collective symbolic significance. […] [I]ts curators serve not merely as guardians and conservators, but as privileged interpreters who include and exclude, give the stamp of authenticity, and authorize veneration. They decide what material to archive, how to order it, and who may access it. Part of the grim reality of the trials over the Kafka and Brod materials is that they did not—and could not—treat the writings under consideration as literature. To quote from The Trial in a verdict might show an understanding of the ironies at play, but it does not show a sensitivity to The Trial or to anything else Kafka wrote as literature. The National Library of Israel’s victory and possession of the estate is, to be sure, a victory that is more about Israel’s self-image and its misuse of the diasporic artists it denigrates, except when they prove useful for proving the state’s legitimacy as a bastion of Jewish culture. Still, now that the materials are finally being scrutinized and made more publicly available, there is hope that part of the result of this affair might be further attention to and understanding of Kafka’s writing itself. In the first days that employees of the National Library began sifting through the seemingly endless sheafs, they found three previously unknown aphorisms in Kafka’s handwriting. Nathan Goldman is a writer living in Minneapolis. His work has appeared in The Nation, the Los Angeles Review of Books, Literary Hub, and other publications.